Why do business in Botswana? Doing business in Botswana can only guarantee you success. Botswana is a regional leader in economic freedom, welcomes foreign investment and trade, is the world's leading economic development benchmark and has earned the highest sovereign credit rating in Africa in recent years. 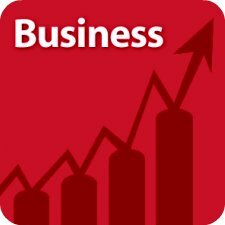 At the core of running a business successfully in Botswana is the existence of a conducive environment. There is a whole host of all other good reasons that make Botswana your choice business and investment destination. Your family and friends may seek employment in Botswana. With so much unused land, and the growing real estate market, Botswana remains the top destination for investing in property in Africa. Botswana has conducive investment and regulatory environment for establishing business in the country. Entities such as the International Financial Services Company and Botswana Export Development and Investment Authority have been established to support investing and setting business in Botswana as well as help promote your business products outside Botswana. Already these entities have forged strong links with a majority of the African countries. The organization at the forefront of the business community in Botswana is the Botswana Confederation of Commerce Industry and Manufacturing. BOCCIM also helps to have access to the 100 million strong market of regional countries within the SADC block. BOCCIM has forged linkages with the SADC states. Having maintained a well developed financial sector to support business, Botswana has established itself as the top African financial hub in the areas of banking and finance. The Bank of Botswana is at the forefront of the strong fiscal policy in the country. 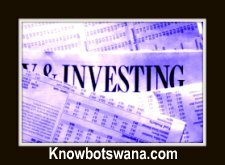 With the establishment of Botswana Stock Exchange, Botswana abolished its exchange controls. Enjoy investing in the Botswana stock market. The country is estimated to have 200 billion tons of coal. This endowment of natural resources spells out the true blessings of a country. These natural and energy resources form a basis for establishing business, and will support the growing economy,which is good news to any investor. In addition, the growth of the energy sector in Botswana is gaining momentum. With all these energy projects aspiring entrepreneurs and potential investors business must stay assured that business has a strong electricity basis to support business resources in Botswana. Mining is the cornerstone of the economy of Botswana. Botswana is the world's leading producer of diamonds by value. Dubbed 'diamonds for development', Botswana diamonds have made a strong and positive impact in the country's economy. Botswana has an established history for prospecting and mining diamonds. The country is already going into polishing diamonds.